One of the perks of my now former job was a generous reimbursement allowance for medical devices like contacts and eyewear. Since I recently quit to move on to a new opportunity, I had some money to burn in my account. I was secretly worried that my eyes were slipping and I needed reading glasses, or even possibly bifocals. I scheduled an eye appointment. I discovered that while I am generally aging and yes, my eyes are falling apart, the real problem is my dirty contacts. The eye doctor suggested moving to daily wear lenses and I immediately accepted. No bifocals required. I still had some cash left over and perused the eyeglasses section of the clinic. Honestly, most of the styles were So Not Me. 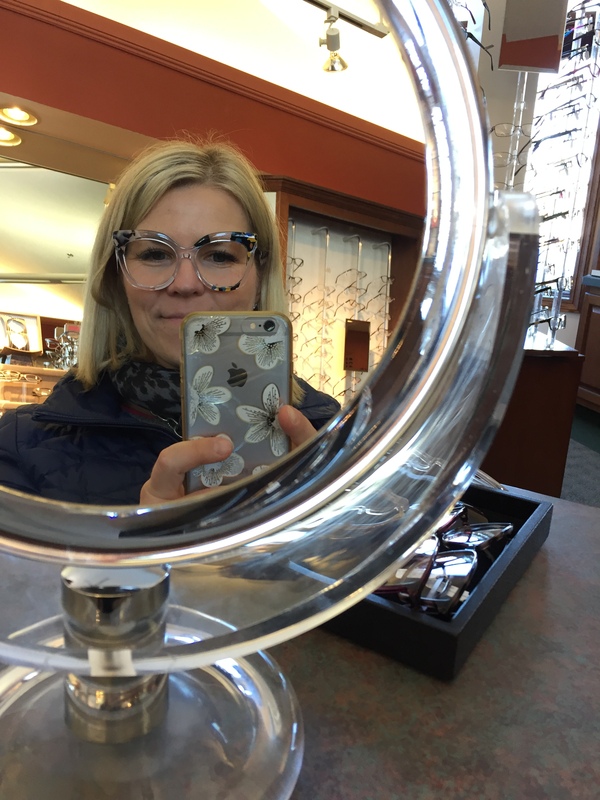 I chatted with another customer, a cute lady of approximately 80 years with a white perm, while I was trying on a scandalously red pair of specs. Me: What do you think of these? I like things that are BOLD! I didn’t get the red glasses. In my head, I wanted a chunky, clear frame. Nothing at the store seemed to fit the bill. I liked the design but the shape was too small. These were 135 mm glasses and I need 140 or 145 mm for my face to look ok since I have a huge head. The salesperson sadly reported that this frame did not come in a larger size, but – lo and behold! – it also came as sunglasses, which naturally have larger frames. I think the sales associates were surprised I bought them. Apparently no one had ever done so. Until now! 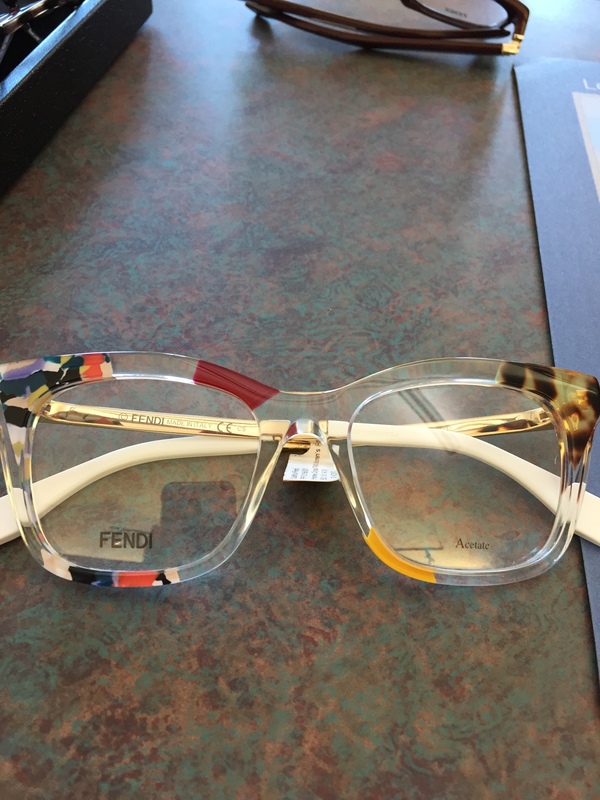 I can’t wait to get my funky new frames.